The time people are spending on Facebook is decreasing. You must have noticed that you are not spending as much time on Facebook as you were spending couple of months or years ago, right? 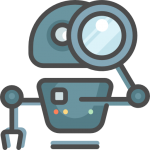 And we ourselves as viewers are tired of monotonous Single Image and Carousel Ads! Yes, Videos are engaging but after realizing this most of the organizations have started creating video ads. But Video content creation takes time, is there a way to make our ads stand out without much of the hassle? Yes, little tweaks to your ads can make them look better and have higher chances of your user base noticing them. 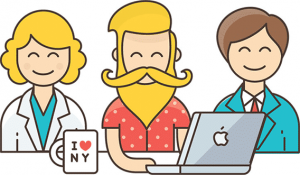 If your targeting audience has a subset which is below 30, you can add emoticons to your ad-copies. As Whatsapp is part of Facebook family, the emoticons available in Whatsapp can be used in Facebook ads, which are readily used by us thus making them readily recognizable. Notice the difference yourself! We did this for one of our own ad and saw a 15% increase in CTR. 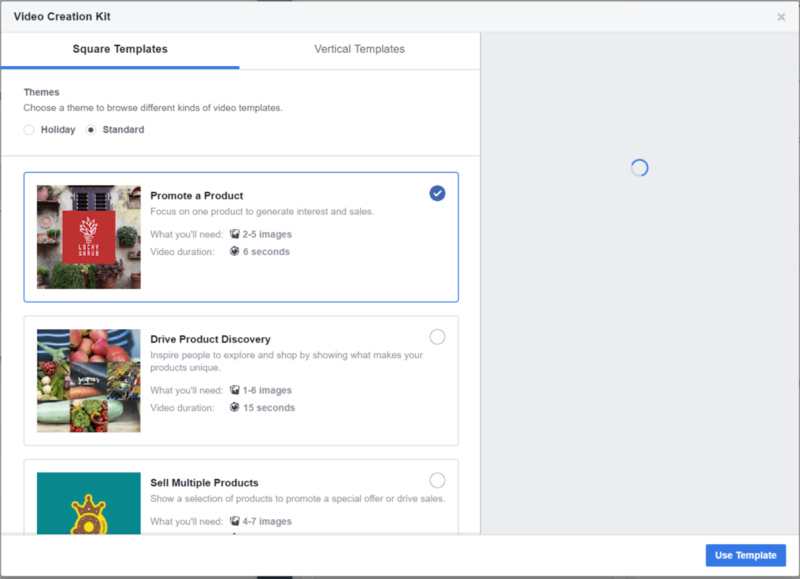 Facebook has a Video Creation Kit which has bunch of templates which can be used to create slideshows instantly once you have image files. The transition and sounds available are limited but can be used for making slideshows quickly. Turning normal image ads into slideshows can give you a head start if that particular LOC is working or not, then you can engage your Creative team to make a better version of LOC. Every e-commerce must be leveraging Catalog ads. But by default everyone uses Carousel Cards which are static images. 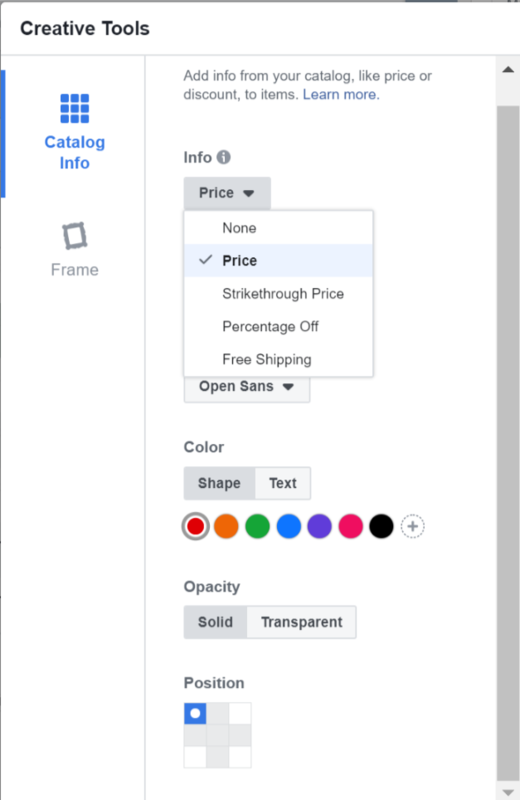 While uploading the catalog, multiple images can be used for each of the SKU/Product which Facebook would use to make a slideshow out of them and they have delivered 20% better CTR and 10% reduction in cost per result. All you need to know before setting it up? Insert one column: “additional_image_link” (without “ “) and add 2nd, 3rd, 4th… link in concatenate. Any comma (,) which is part of the link has to be encoded (replaced by %2C) here. Different product shots can be tried here. 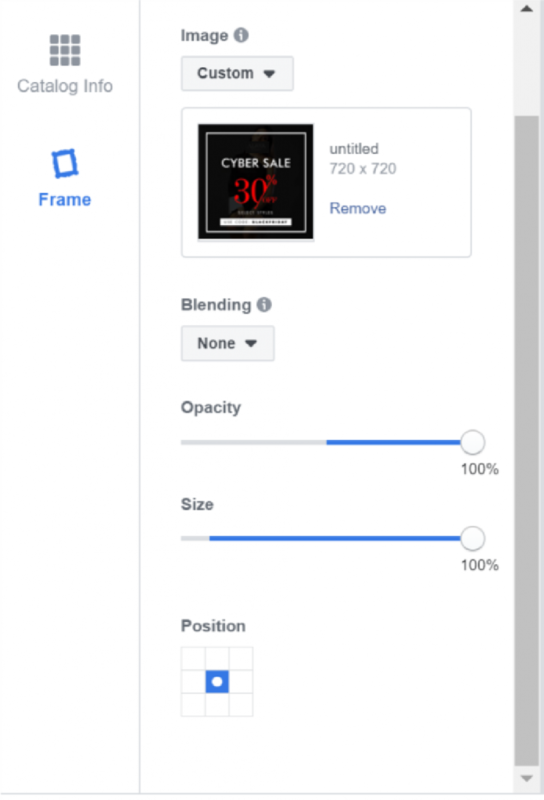 Frames need to have pre-decided positioning in same image dimensions(600*600 or any square). 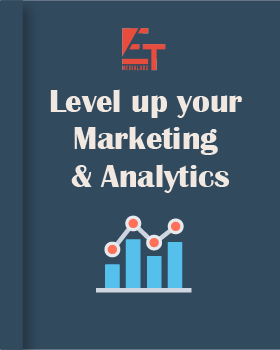 It is a welcome feature for those who run promotions often. One of the use case would be using “Offer Header” and “coupon code” as image which would be used as a layer above existing product shots. We can control Opacity, Blending type (Lighten or Darken primary image) and Size of Frame here apart from Position.